David O. Russell's crowd-pleasing Silver Linings Playbook has taken TIFF's coveted People's Choice Award, while a new wave of Canadian filmmakers also snagged trophies. 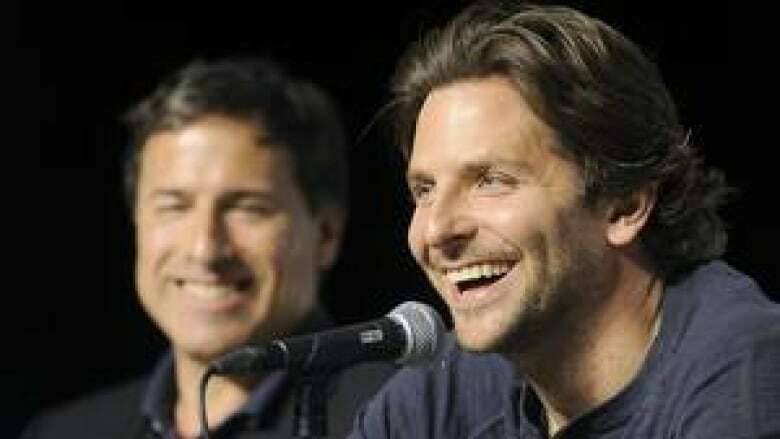 David O. Russell's crowd-pleasing comedy-drama Silver Linings Playbook, starring Bradley Cooper, Jennifer Lawrence and Robert De Niro, has taken the Toronto International Film Festival's coveted People's Choice Award. The film, based on a novel by Matthew Quick, had been warmly welcomed at TIFF for deftly balancing moments of oddball humour while following a man trying to rebuild his life amid struggles with mental illness. 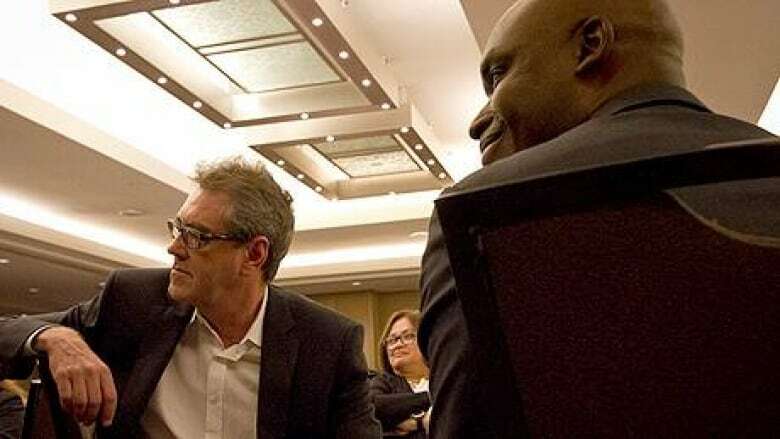 TIFF CEO Piers Handling and artistic director Cameron Bailey presided over the festival's annual awards luncheon on Sunday, the finale of the 11-day movie marathon. As Silver Linings Playbook approaches its theatrical release on Nov. 21, the Toronto win is an early step towards an awards season run leading up to the Oscars. Though not in attendance, Russell sent his thanks for the $15,000 prize in a statement delivered by Mark Slone, an executive for the film's Canadian distributor Alliance Films. "We are thrilled to receive the audience award. We want to thank the Toronto audience for embracing this film and giving us this honour," Russell wrote. The runners-up for the prize were Ben Affleck's slick and suspenseful Argo and Eran Riklis' drama Zaytoun, about an unlikely alliance between a shot-down Israeli fighter pilot (Stephen Dorff) and a young Palestinian refugee. TIFF audiences also chose their favourite non-fiction film as well as their favourite title in the Midnight Madness program, with Bartholomew Cubbins' rock documentary Artifact and Martin McDonagh's Seven Psychopaths earning the honours, respectively. A new wave of Canadian filmmaking talent also snapped up major honours at the awards luncheon. 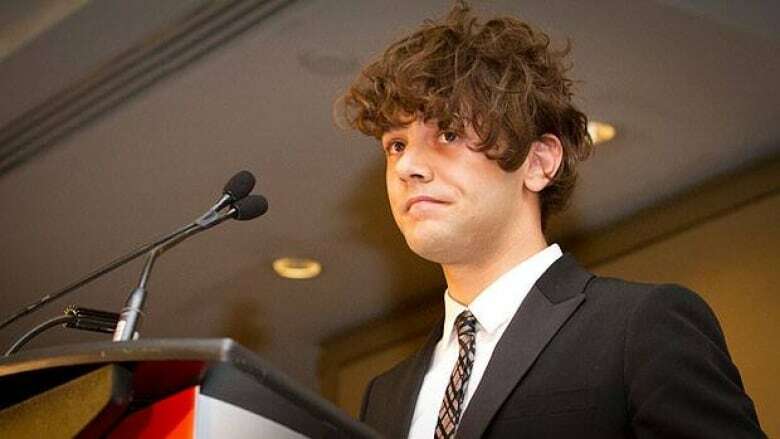 Young Montreal auteur Xavier Dolan led the way by earning the $30,000 best Canadian feature trophy for his epic love story Laurence Anyways. "I'm honestly surprised. This is nothing short of comforting for me," an emotional Dolan said in his speech, which included a heartfelt tribute to his producer, Lyse Lafontaine. "It is not an easy film. I know that. It is as scary for people to go see it ...as it was for us to do and have faith in. But we did." Despite being chosen to screen at Cannes in the spring, the film had a lukewarm reception at the Quebec box office and Dolan said he feared Laurence Anyways might have been forgotten. He also noted there were personal sacrifices he made in the past year. "It's been a rough year. It's been rough on egos and friendships," he told CBC News. "Making movies is disappearing. You stop seeing your family, your friends. It's been a lonely year. But now, it feels good." In a rare tie, the prize for best Canadian first feature was awarded to a pair of films: Brandon Cronenberg's Antiviral and Jason Buxton's Blackbird. Bailey noted that the $15,000 cash prize will be doubled this year to award the full value to each of the filmmakers. The jury hailed Blackbird "for its authenticity and clear-eyed social conscience" and Antiviral "for its ambitious commentary and visual sophistication." After his gory satire about society's obsession with celebrity (reminiscent of his father David Cronenberg's early oeuvre), Cronenberg said he hoped any newfound notoriety from his win would be subdued. "I hope it's going to be like Canadian director levels of fame, where it's not too perverse," he quipped. "It's like being a character in my film, but hilarious." Best Canadian short film ($10,000): Keep a Modest Head, directed by Deco Dawson. FIPRESCI prize for the Special Presentations program: Dans la maison, directed by François Ozon. FIRPRESCI prize for the Discovery program: Call Girl, directed by Mikael Marcimain. NETPAC Award for best first or second Asian film feature: The Land of Hope, directed by Sion Sono. The Toronto Film Festival concludes Sunday with a final day of screenings, including a free showing of People's Choice-winner Silver Linings Playbook at Toronto's Ryerson Theatre beginning at 6 p.m. local time.